One of the biggest benefits for joining a gym is that you’re paying for the privilege of working out. That might seem odd that you have to pay to put yourself through exhaustion but it really is a perfect motivating factor. If you’re paying for the membership then you’re going to want to use that membership. This is the opposite having home exercise equipment. That’s because when you bring something in your home there is a sense that you can “get to it” whenever you can. 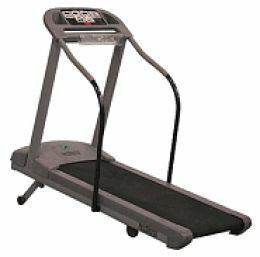 Which is why most home treadmills and other exercise equipment end up being clothes hangers instead of places of workout. The other problem with working out at home is all the distractions. If you live alone you’ve got a good shot at squeezing in the occasional home workout but if you’ve got a family then you can forget about that. Between the kids asking for something, pets needing attention and the hundred other things you do around the house it is simply impossible to get a work out. On the other hand if you head out to the gym you can turn off your phone and focus on the exercise. You’re also going to get a lot of support at the gym even without a personal trainer. You’re sharing the space with other folks at all levels of body improvement. They’re not there to judge but to get in shape. If you need a little help with a machine or routine you’re sure to find plenty of willing volunteers who will offer sage advice. Then there are all the terrific classes. Hopefully, the gym you’re considering joining will have a wide range of workout classes. Often these are free with the membership so dive in an enjoy. What you don’t need is a constant reminded of your past workout failures. That would mean finding a way to get rid of all that old exercise equipment. The best approach for that is hiring Junk King Raleigh. These are the junk removal specialists who will make short work of carting off your treadmill, weights or stationary bike. The Junk King crew gets a work out every day because they do all the lifting for you. After they load up your exercise equipment you can get them to take away any other bulky item that you’ve wanted to toss out. All you have to do is tell the JK raleigh crew what you want gone and they’ll handle the rest. Chances are they can clear out your home of all your junk in less time than it would take for your typical workout. That’s a good deal! This entry was posted in Raleigh Appliance Disposal, Raleigh Junk Removal, Treadmill Removal and tagged Exercise Machine Disposal, Raleigh Appliance Disposal, Raleigh Treadmill Disposal on July 24, 2013 by Britt Holcomb. Last updated August 1, 2017 .